All eyes will be on Old Trafford on Sunday evening as Man City travel to rivals Man Utd in an early Premier League title showdown. The Red Devils trail their city rivals by eight points after 15 games, and while it’s too early in the season to suggest that this game could be decisive in the title race, a win for the visitors would open up a sizeable lead that will really test United’s credentials. 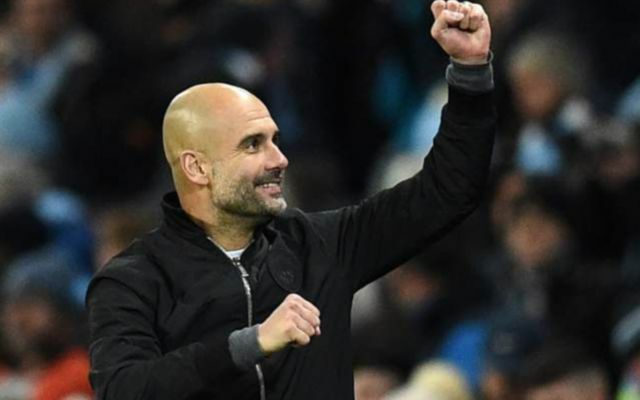 In turn, while Paul Pogba will be absent due to suspension, both sides will be hoping that they’re otherwise at full strength and Pep Guardiola may well have just secured a huge boost. After an injury scare last weekend in the win over West Ham United, David Silva has been passed fit to feature against United, as per the tweet below from freelance injury analyst Ben Dinnery. That might not be the full extent of the good news for Guardiola either, as it’s added that both Vincent Kompany and Fabian Delph could also yet feature, but a late fitness test will have to be carried out to determine their availability after both missed the midweek defeat to Shakhtar Donetsk in the Champions League. As for Silva being available though, that is great news for City with the 31-year-old establishing himself as a key figure this season with two goals and 10 assists in 19 games in all competitions. Aside from the numbers, he’s also pivotal in stringing things together, and so he’ll hope to play an influential role this weekend with City and United both having no problem in finding the back of the net this season with 46 and 35 league goals respectively.